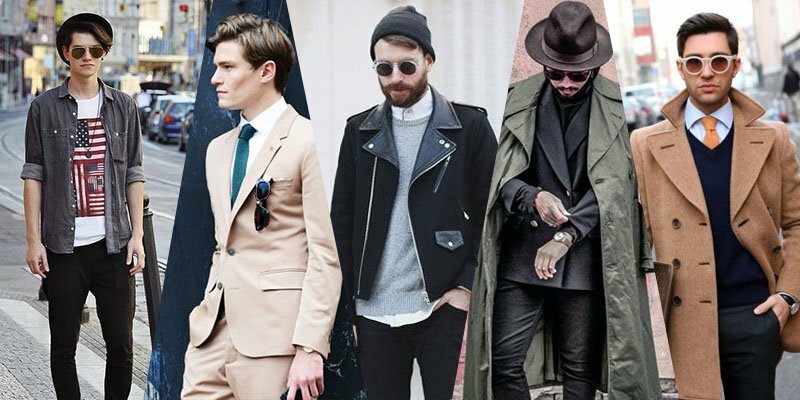 Let’s face it, when it comes to most men, fashion isn’t exactly a top priority. However, there are certain items that even the most average Joe should have in their closet. Having the essential necessities builds a strong foundation for a stylish wardrobe, which in turn helps you to prepare for any kind of occasion should they arise. 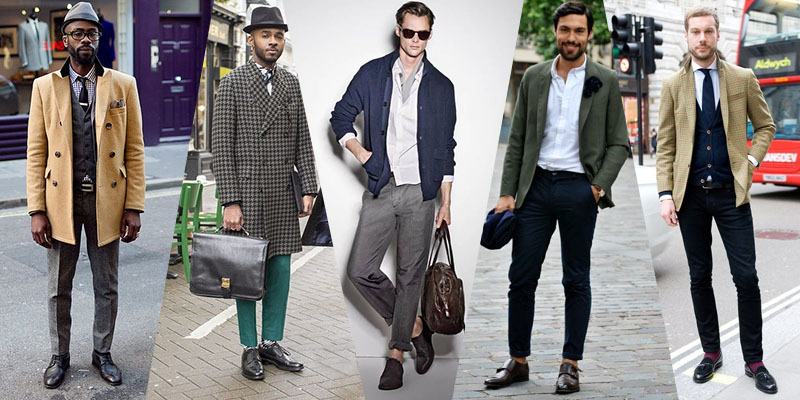 If you fall into the category of being a fashion newbie, fret no more because TheTrendSpotter have created this list of men’s wardrobe essentials for guys just like yourself. Invest in both kinds, wide and thin, in a variety of colours so you have one for any outfit. Although we highly recommend having a separate black and white tie, as these two are the most versatile shades. But don’t end your range there especially if you consider yourself a social guru. Experiment with colour, patterns and materials as they can provide an easy contrast with your shirt and blazer, and even complement your outfit by giving a subtle pop of vibrant colour. This is an absolute must have. 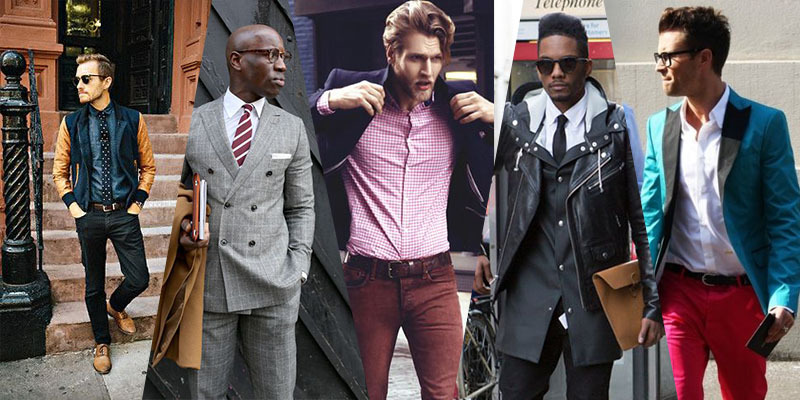 A good looking pair will match most suits, but that doesn’t mean they should only be reserved for suits. A popular trend with black dress shoes is to pair them up with skinny jeans for that more sophisticated look, especially if you’re planning to have a night out with friends. Try to avoid square toe and aim for pointed and slim styles. The ones with a stylish buckle are always a plus. If you’re unsure where to look, TheTrendSpotter recommends Aquila and Windsor Smith as a good starting point as they specialise in this exact shoe style. A favourite item for many men, this is always by far the biggest street wear trend that you’ll see from every major runway event. 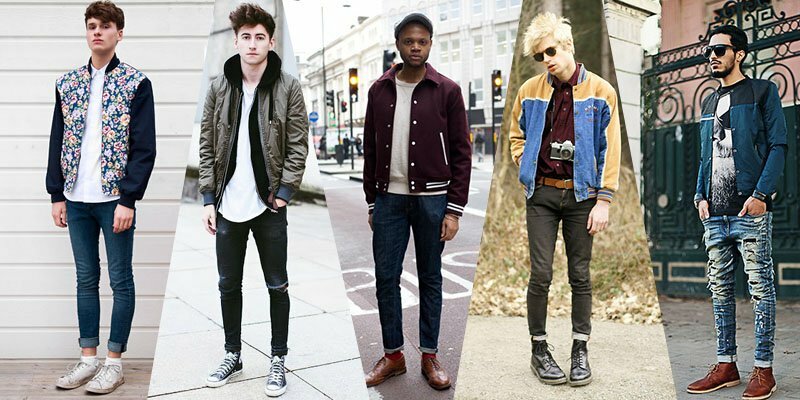 No matter what style – whether leather, solid colour, athletic or wool – these jackets are an all-rounder, and by far the most essential item to own. Though dark shaded bomber jackets have always been the norm, fashion labels are starting to change things up. So while black, grey and dark blue will always be a popular choice in this category, brighter colours such as red, green and aqua are currently stealing the spotlight. A white oxford shirt is preferred since it matches well with anything and still gives you the ‘dressed up’ appearance without much effort from your end. But bear in mind that this shirt should be from a high quality brand, as it’ll get the most use in your wardrobe. Therefore, the material and quality needs to last, and the cheap ones tend to crease and rip easily. Try not to go for polyester, instead aim for 100% cotton. If you really want to take a trip on the wild side and stand out from the crowd, then consider oxford shirts in unique colours including purples, orange, red, and possibly even pink! This is an obvious one, but can easily be missed if you’re not careful. One of the biggest no-nos in fashion is wear pants without a belt (especially if the shirt is tucked in), even more so wearing a belt that does not match the colour of your shoes. A black belt is the most common accessory to have because it suits both formal and casual events. Watches are a timeless piece, and while they do the obvious, they can also be the key to completing your outfit. Being subtle is the key for this accessory, as you want to highlight everything as a whole and not the watch itself. With that said, avoid gold and aim for silver or one with black leather straps. You can’t really go wrong with an accessory like sunglasses, and there are many types to choose from including Carrera and Cat-eye just to name a few. Aviators have also been a popular trend in the market, so if you don’t know what style suits you, aviators are a safe choice. Usually a single suit does not fit every occasion. In fact, it’s a good idea to have a different suit per season. 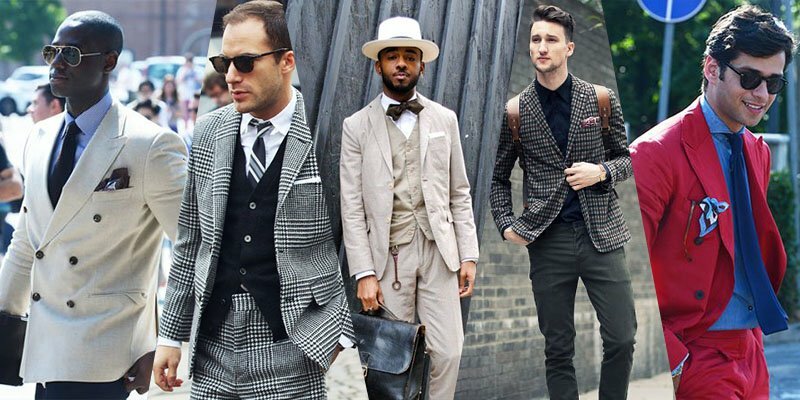 They should be seasonal – therefore with every season, you should have a suit with a different material. For summer, think linen and seersucker. Whereas for winter, consider tweeds. 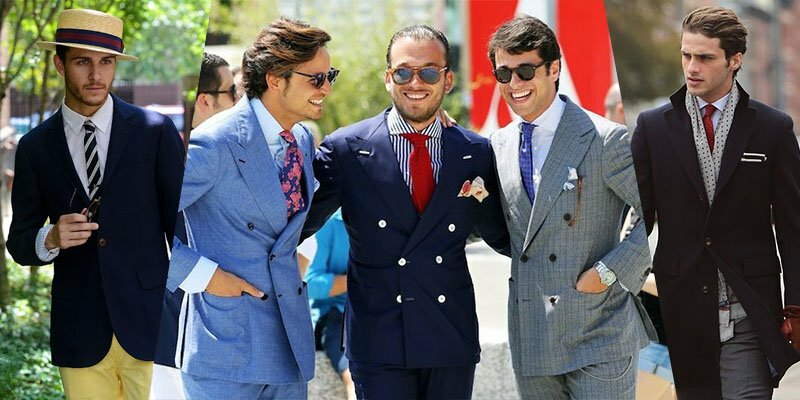 Pocket squares made a real comeback when iconic designers such as Tom Ford and Michael Bastian brought it to the forefront of the fashion scene. Not only are they terrific for formal events, but also you have an opportunity to go crazy with colour and patterns because they are such a small accessory. But remember the golden rule of contrast: if the suit is plain coloured, go for patterned and vice versa.